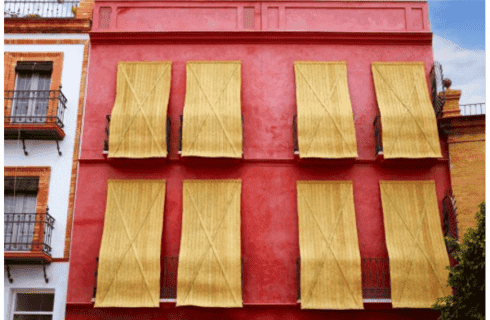 FROM rustic Andalucian kitchens to Insta-cool loft living in Manhattan, the traditional Spanish craft of esparto grass weaving is making a comeback in the most unexpected places. 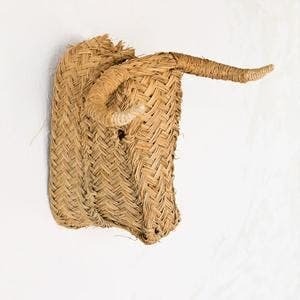 The material once used for Spanish peasant footwear and shopping baskets is enjoying a revival in high-end interior decor thanks to its versatility and vegan credentials. Business has never been brisker at the artisan workshops of Perez y Perez in the pretty historic village of Porcuna in northern Jaen province, where craftsmen have been making traditional esparto products since 1957. However of late the family-owned business has branched out into commercial designs with international appeal that run to a lot more than baskets, blinds and traditional bulls’ heads. Think furniture, curtains, awnings, umbrellas and even TV set designs. “We’ve had the pride and privilege of providing our service and making products for important businesses, companies and television programs like Kitchen Nightmares, La Peste and Still Star Crossed,” enthuses Vicente Perez Jimenez who learnt how to collect and weave the grass from his parents and grandparents as a child during the school holidays. Perez y Perez also works closely with fashion designers and stores across the Iberian Peninsula creating eye-catching window displays with textured lamps and matting in pale earthy tones, perfect for achieving ‘a touch of the desert’ says Vicente. 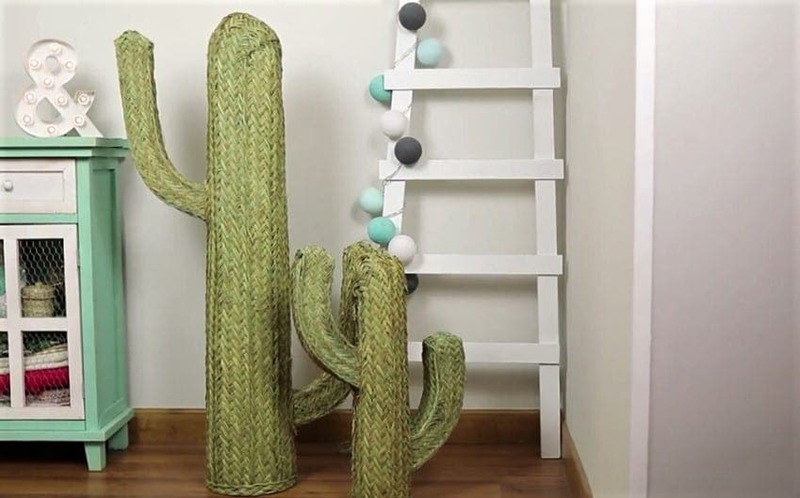 Esparto‘s global revival is thanks in part to its Instagram appeal with pictures of six foot esparto cacti gracing homes from Santa Fe to Copenhagen popping up all over the social media channel. A playful bulls head sent design mavens into overdrive when it was featured as an ‘object of desire’ on Remodelista.com, a cult American website dedicated to luxurious, eco-friendly interiors. Esparto weaving is an ancient skill specific to Mediterranean areas where the grass grows abundantly. The technique is virtually unchanged from the Neolithic period. Esparto grass baskets of more than 7,000 years old have been found in caves in Granada, while the Greeks and Phoenicians used it to make ropes for their boats. “We consider genuine esparto to be an ecological material since it is collected In the mountains, and no chemical or unnatural components are applied,” explains Vicente. “With proper use of the product, it does not require additional maintenance and once its useful life has ended, which can take decades, it can be used as fertiliser since it continues to maintain natural conditions just like any other plant,” he added. A genuine esparto product will contain only natural materials – such as grass, wood and sisal rope – to sew to the plaits of esparto together. “We harvest the esparto in June, July and August from the Sierra Magina, the nearest Andalusian mountains to us. The walls of the Perez y Perez workshop are lined with traditional and contemporary esparto designs including baskets, mats and lampshades in a variety of styles, from understated to conversation starters. The display emphasises the two sides of Perez y Perez’s artisanal output – home crafts and high-end design on a commercial scale. “This work, like that of any other craftsman, requires a lot of time to learn. It’s will and persistence that allows you to understand and learn improvements to the trade,” says Vicente. “In our case, we work with multiple professionals in the world of decoration – window dressers, interior designers, architects – which requires us to innovate continuously to adapt to their needs. One of the workshop’s biggest projects in 2017 involved creating an esparto lining for a 2,000 square metre co-working space at the Impact Hub in downtown Madrid. “It is the first building completely lined with this natural fibre and the environment this material creates in a room gives a great feeling of tranquillity and harmony,” says Vicente. 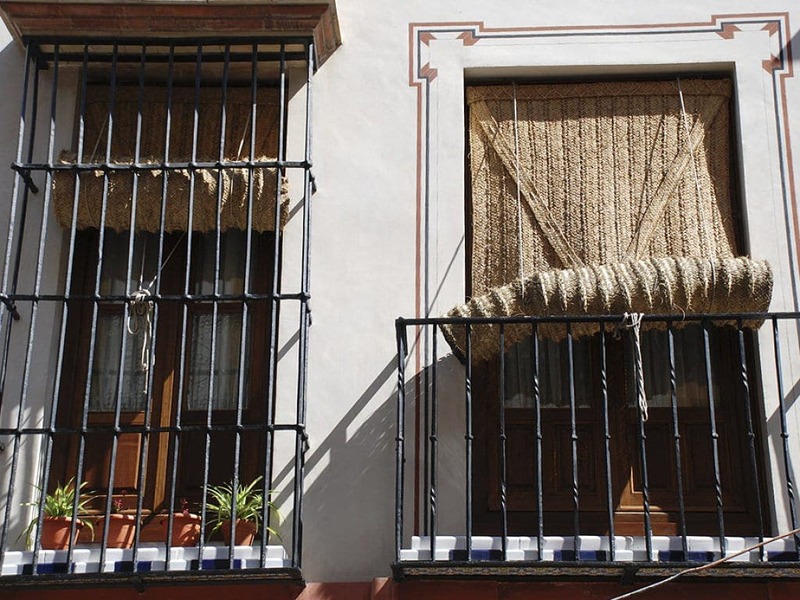 Native Andalucians are also driving the esparto revival, remembering it from their childhoods and incorporating it in their modern homes for the same reason their grandparents did, as it is ideal for the local climate. 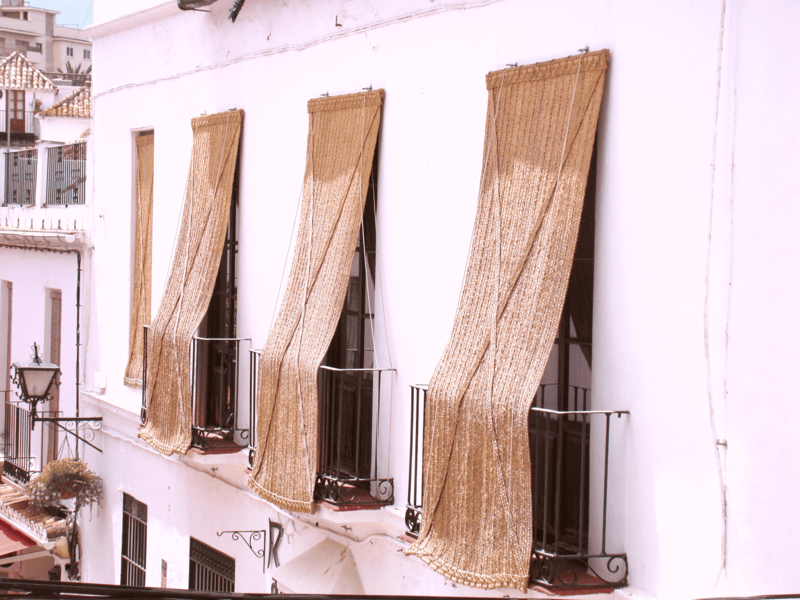 Esparto blinds and curtains are a particular bestseller as they preserve ambient temperature in the home, they are anti-mite and naturally repel insects and noise in addition to their decorative appeal.